Jeremy is the Marketing Director for the Smalltalk STAR Team at Cincom Systems, Inc. His primary role is to help you, our valued viewer, get the information you came to our site to get. If you have any questions, concerns or comments, or need additional information, feel free to contact him at your convenience. 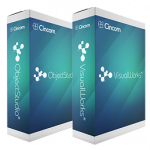 In this exciting edition filled with big news and lots of value, we will talk about the new releases of Cincom® ObjectStudio® 8.9.2 and Cincom® VisualWorks® 8.3.2, how PUL users can receive the latest release, the Citizen Toolmaker and a new Hidden Gems Screencast. The REV program is an opportunity for Personal Use License users to take their passion to the next level and create their own businesses by becoming a Cincom Smalltalk customer. Object persistence is about saving and restoring the state of an object. This can be done in a variety of ways, often with a relational or object database. But what alternatives are there and how do they work? That is what this series will discuss, build and demonstrate. Part One will demonstrate a simple, powerful and useful text-based technique that is not widely known. What Is BPM and How Can It Help Me Make Smarter Choices for My Business? What Is the Cincom Smalltalk Resolutions Newsletter and Why Is It a Valuable Tool for Customers? 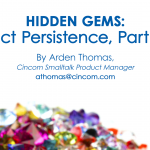 The Cincom Smalltalk Resolutions Newsletter lets customers know what’s going on with the product since the last release so they can see what resolutions might be available to them. Can Cincom Smalltalk Be Used with SAP? 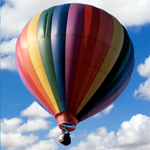 Using an application written by a Cincom Smalltalk partner called, SAP NetWeaver Connect, SAP and Cincom Smalltalk work well together for a variety of uses.